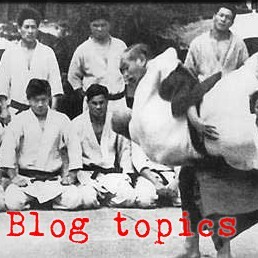 So, per my post from yesterday, I suggested that you might get more mileage out of your randori experiences if you will learn a variation of your tokuiwaza that you can execute on uke when he is moving forward, backward, left, or right. Today I have a couple of examples. Coming up through the ranks I often had a lot of trouble getting into osotogari. Turns out, I only knew and practiced two directions of that thing. I could throw osotogari when uke moved his right leg forward, or when he moved his right leg sideways or back away from me (sometimes), but if they fought left-side hard forward and stiffarmed and shuffled, I had a hard time getting osotogari in there. I could have mirrored those two right-sided osotogaris that I knew, stepping in and doing the reap with my left leg, but perfecting major throws on your off-side is a sketchy proposition. It wasnt until much later - maybe 10 years ago - that I discovered two more right-sided osotogaris that worked nicely when uke was moving his left leg. I started spending more time on those two variations and soon I started getting osotogari in randori almost at will. Makes sense, as now I could approach osotogari if uke was moving his left or right leg, and whether he was advancing or retreating. 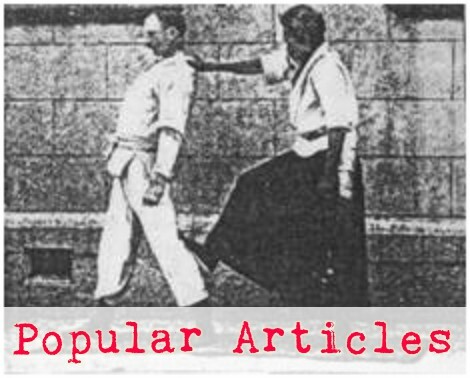 The other example is koshinage - any of the multitude of hip throws in judo. Coming up through the ranks, I spent almost all of my time going for hip throws when uke was standing still or retreating with his right leg. That step-through-to-the-rear hipthrow is still my favorite, and the easiest one for me to teach beginners. But as you can imagine, if that's the only direction I ever tried it, I wasn't going to have much success. Sometime later I learned that there was a nice hipthrow opportunity when uke advances with his right leg. This made two variations, but I was still having about as much trouble in randori with that thing. Again, it makes sense, because it doesnt take my partners too long to figure out they only had to worry about hip throws if they moved their right leg. About the same time as I discovered the other two osotogari, I learned a new variation for hipthrows that worked nicely if uke was left-forward - and it can sort of be massaged to hit a hip throw when uke is retreating to his left (but that is still a difficult direction). That makes three variants of koshinage, and all of a sudden I had many, many more chances to try that thing in randori. I've actually started throwing a few hip throws in randori in the past few years! It's still a long way from my tokuiwaza, but I think that might be because I have mostly neglected that fourth direction. Anyway, there you have 2 examples of working your techniques in 4 directions and getting better at randori.